As today's children proceed through school and eventually into the job force, they will be required to have technology skills. Parents know that as they prepare their children for a successful future, they will increasingly need to help their children build a strong foundation in technology. Whether a techie or a tech newbie, teaching young children the technology skills they will need throughout their lives can seem like a daunting task for any parent-but it no longer has to be that way. 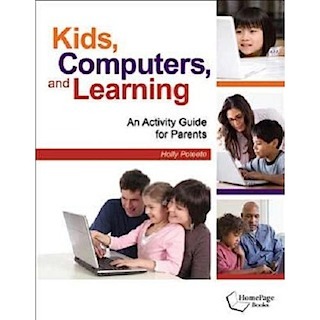 ISTE author Holly Poteete has adapted her popular computer lab book into lessons and activities for parents to use either as a supplement to school computer lessons or in a more formal home environment. Each of the 12 chapters is made up of 10 activities that teach children a target skill such as online safety, keyboarding, Internet research, creation of multimedia presentations, use of Web 2.0 tools, and more-all in a variety of learning styles. In addition, the book includes a CD with more than 100 supplemental files including a student workbook, a grade book, and answer keys, providing parents with everything they need to effectively teach technology. Suggestions for younger children and ideas for enrichment means parents can use this resource for more than just one year and with children of many ages and ability levels. It is a must-have in any home with young children. Kids, Computers and Learning is a great choice for homeschooling families wishing to teach their children about technology. The author now teaches her two children at home as well! ISTE is the premier membership association for educators and education leaders engaged in improving learning and teaching by advancing the effective use of technology in PK-12 and higher education. This is a great book for homeschooling families!